In the heart of West Houston sits Retreat at Westchase, a luxurious apartment community nestled in a tree-lined, plush area between Interstate 10 and Sam Houston Parkway. Experience an active, urban lifestyle near vibrant shopping, dining and recreational venues, along with the peace of mind that comes with knowing that the property is Blue-Star certified. This valued distinction from the Houston Police Department means that Retreat at Westchase strives to maintain a safer and cleaner community, delivering a higher quality of life to all residents. Thoughtfully designed with your comfort in mind, the serene community features renovated one and two bedroom homes with stylish interiors and convenient amenities. Each expansive floor plan includes deluxe finishes such as hardwood floors, stainless steel appliances and Texas-sized closets. Select models include cozy fireplaces, relaxing garden tubs and double bathroom vanities as well. 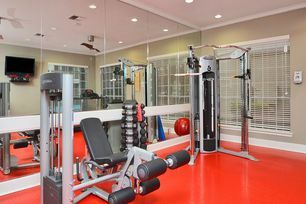 Outside your door, you can sunbathe on a lounge chair by the tropical pool or work out in the modern fitness center. Additional amenities include an outdoor kitchen, a business center and a conference room. With a convenient location near the Metro bus stop, Retreat at Westchase also places you just minutes away from the Energy Corridor and downtown Houston, TX. 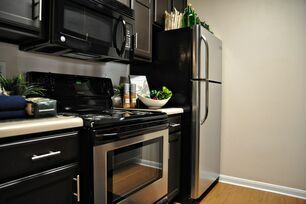 Rent an apartment in this unique community now to discover an unrivaled living experience.